With an acoustic guitar and harmonica strapped around his neck, Dan Bruskewicz leads the explosive folk-rock trio TJ Kong and the Atomic Bomb. Courtesy Daniela Sessa TJ Kong and the Atomic Bomb are Dan Bruskewicz (left), Joshua Willis (center) and Dan Martino (right). The folk-rock trio says Philly just fits them. His deep vocal drawl rings out over chaotic, stomping rhythms from drummer Dan Martino and the rabid bass playing of Joshua Willis, a musician who met up with the two after reading a Craigslist ad “demanding” a bass player. Willis also brings the occasional banjo into the mix, giving the band’s sound an even more rootsy feel. The band’s live performances are raw and wild, with Bruskewicz strumming the life out of his acoustic guitar and Willis dancing to the groove of his bass melodies. TJ Kong has generated a rather mysterious Internet buzz over the last year, one the band sometimes doesn’t quite understand. 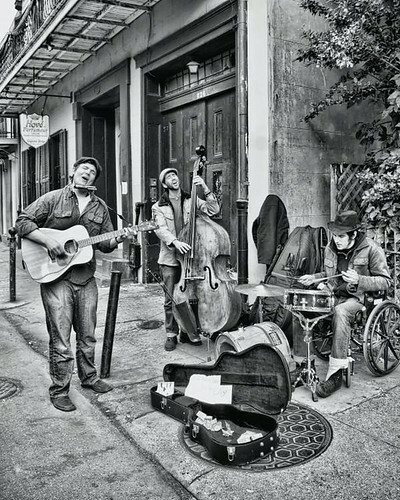 In February 2009 the trio released The Hinterlands EP, a palatable collection of five songs strung out with pragmatic lyrics and heartfelt melodies. Bruskewicz likens the band’s connection to Philadelphia to an old pair of shoes. “Philly has really good sandwiches, too. I love it here,” the guitarist added. Friday will be a celebration at Johnny Brenda’s in Fishtown, as the band will self-release their first full-length album. Kevin Brosky can be reached at kevin.brosky@temple.edu. Saw these guys the other night at Johnnie Brendas Friday night for the CD release. Great sound, the rhythm and syncopation was right on. Really great vibe. They really do have a unique sound, a solid blend that just produces music that is refreshing to hear. keep up the good work.